A traveler's necessity that always comes in handy. 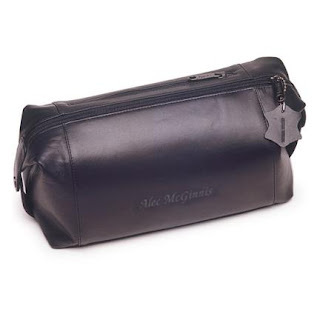 Made of long-lasting leather and featuring engraved personalization, this travel kit makes a great personalized gift for him. Size: 11 1/2" x 5" x 5 1/2".